Enter to win exclusive My-Word-Magnets merchandise and join our mailing list for new product announcements, discount codes and exclusive special offers! Winner will be chosen at random from the current eligible entries. Your email address will be used to contact you should you be chosen as a winner. 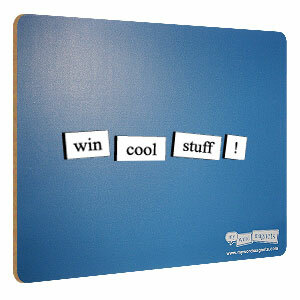 By entering the My-Word-Magnets drawing you agree to be notified of available future promotions and/or special offers via the My-Word-Magnets newsletter. Your email address will not be sold or revealed to outside sources.